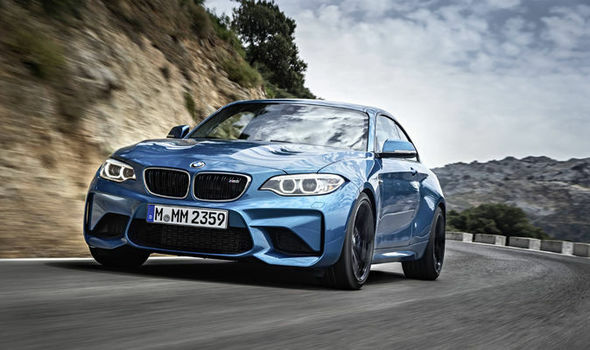 BMW M2 Coupe is right on the money! LIFE FOR most of us is far from perfect but we are still lucky to live in this era. We have planes to take us on holiday, high-speed broadband to keep us informed about the fast-moving world and performance cars that can get you from A to B faster than is prudent. And performance cars no longer have to be supercars that cost six figures, either. There are plenty of affordable hot-hatches and motorsport variants of regular cars that many buyers use to scratch that fun-to-drive itch. Among those buyers BMW’s M division has a special kudos. Established in 1972 to address the company’s motorsport activities, the division evolved to build special versions of road-going models. So the M5 emerged as a performance variant of the 5-Series in 1984, followed in 1986 by the M3 (a hot 3-Series). These had immediate appeal to car fans and successive generations have been much sought-after. And now there is a new M car, a fast and focused variant of the 2-Series Coupé, the M2. BMW introduced a coupé version of the first generation 1 Series in 2007 and launched a limited-edition 1 M Coupé in 2011. Now that the small coupés and convertibles are badged as 2-Series, the hot version takes this M2 name. As soon as you look at the car, from whichever angle, you are left in no doubt that this is a performance car. From the large front apron with its multiple air intakes to the gills behind the front wheels and muscular lines along the flanks to the wide rear end – with its spoiler, vertical reflectors, diffuser integrated into the rear apron and two pairs of twin tailpipes – there is no mistaking the sporty character of the M2. It certainly looks the part. Then you hear the engine fi re up. That engine is a newly developed turbocharged six-cylinder, 3.0-litre unit that pumps out 365bhp and can get from 0 to 60mph in just 4.2 seconds. To put that into perspective that is the same as a Porsche 911 Carrera S, the most powerful of the standard 911 models. 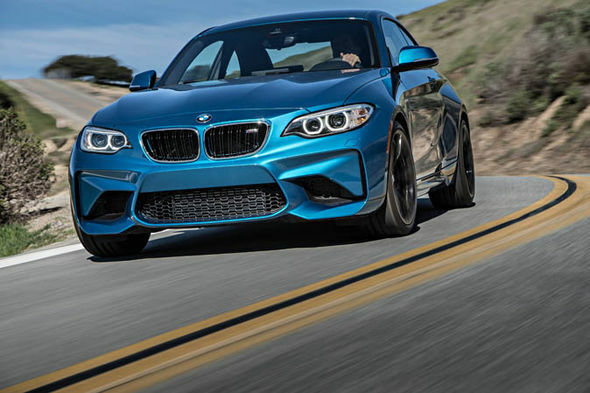 The M2’s top speed is a limited 155mph. It feels as punchy and quick as those figures suggest, the power delivery also feeling even right through the rev range at well beyond usual road speeds. Plus, the M2 tips the scales at 1,495kg so while by no means a light car it’s not carrying too much in the way of excess bulk, either. The standard six-speed manual gearbox is the perfect accompaniment to the engine, with changes feeling slick and snappy. The optional seven-speed twin-clutch semi-automatic gearbox is equally excellent so it is impossible to recommend one over the other. It is literally a case of paying your money (the auto is an extra £2,505) and taking your choice. 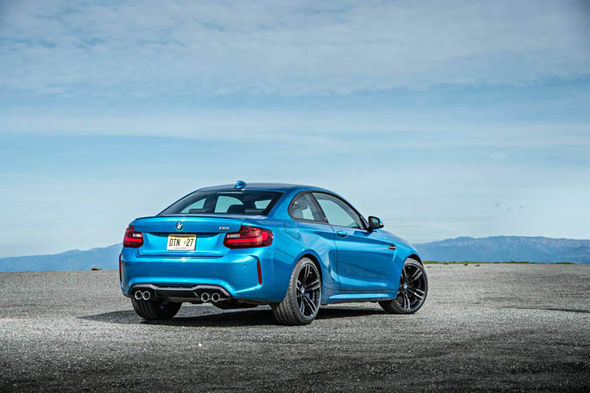 Power is of little use if a car can’t cope with it on the road but the M2 quickly proves that there is plenty of ability to go with the raw power because this is a perfectly balanced, agile and tractable car. MASSIVE amounts of grip means high-speed cornering and sudden changes of direction are accomplished with ease. The steering is equally superb: light at lower speeds but weighting up beautifully when required. It is also sharp and offers lots of that important feedback. The overall result is that this is a car that you can feel secure in even when really pushing it. And despite its performance nature, the ride is reasonably compliant. We did not encounter any really poor roads on our test drive so we’ll have to suspend our final judgment until we have driven it on B-roads but it is unlikely to deter anyone thinking of putting their money down for an M2. 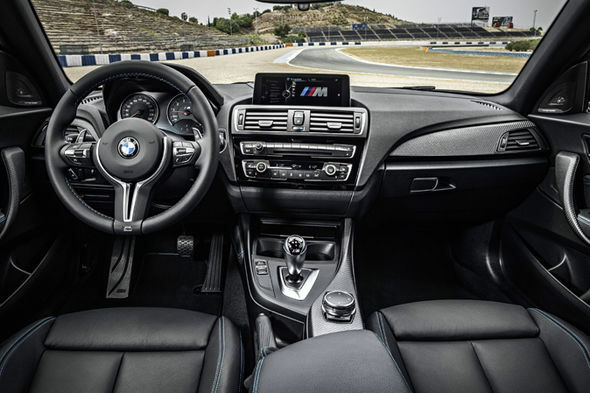 The car’s cabin is also just what you want from a performance car built by a premium manufacturer: lots of comfortable features, with leather, Alcantara and carbon-fibre trim, instruments that are unique to the M2 and comfortable sports seats with adjustable side bolsters. The one minor quibble is that perhaps the seats could be slightly lower. At £44,070 the M2 is more expensive that its rivals the Audi RS3 and Mercedes-Benz A45 AMG but while those cars are good, the M2 is on another level again. Make no mistake, this is a very good car that will give those lucky enough to own one hours of pleasure on the road. Life might not be perfect but it is a lot more palatable behind the wheel of an M2 Coupé.